Intermittent fasting has been surging in popularity lately, as a simple and effective weight-loss strategy. But exactly how much weight can you lose? And of this weight, is it fat, muscle or a combination of both? I am going to answer these questions based on what current science has shown. But first, we need to address a pertinent question…is fasting healthy? So is fasting healthy? This is a common question that I get. There are really popular diet trends and fads out there and there are questions about those as well. How about intermittent fasting or fasting in general? One thing I can tell you is that fasting can be great for your health, but if it’s done wrong, fasting can be dangerous and can have serious side effects. Therefore, you want to fast in the proper way, so now I will tell you about all the benefits of fasting. First off, fasting allows your body to rest. 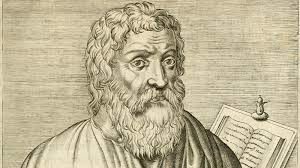 In fact, the father of natural medicine, Hippocrates, said fasting was one of the number one ways he helped patients to heal. Also, throughout books like the Bible there have been situations where people fasted. Fasting has been used for centuries for spiritual enlightenment and for growing closer to God, as well as for the health benefits. We know many enlightened doctors used fasting throughout time to heal their patients. There are a lot of studies now showing that things like intermittent fasting can naturally boost our hormones, and it can also let your gut rest and so really supports detoxification healing. So, there is no doubt about it that fasting is healthy. However, when you fast, there are certain ways you want to do it. One way is you can do a full day fast or several days, i.e., one day or three days, and that may include only eating dinner or possibly doing something like a vegetable juice fast where you’re just doing some juices. Or it might be something where you’re just drinking water for a few days. And doing that for short periods of time is completely fine; it’s completely healthy. There’re therapeutic benefits. Now, there are other forms of fasting where you would do that more than three days, and at that point it can actually end up being pretty hard on your body and your system. So at that point it’s not really beneficial for your health doing it for a longer period of time, where you’re completely restricting your body of calories. However, you can achieve better results using a relative new type of fasting…at least in the West. Now there’s a new type of fasting that I think a lot of people are benefiting from today. It’s called intermittent fasting. Even with this sort of fasting you don’t want to overdo it and do it too long, but you can do this anywhere from a period of 30 to 90 days and get major health benefits. And, here’s what intermittent fasting is. Intermittent fasting is where you’re taking a period of the day and you’re not eating. So most the time we wake up, we eat at a.m., we continue to eat until p.m. And so really we’re only letting our body rest, sometimes eight hours a night. What you want to do instead is really take a four to eight-hour window and only eat during that time. With intermittent fasting, your first meal might be lunch at noon and then you eat again at 6:00, so really, you’re eating between noon and 6:00, getting all your meals in then. You can eat three meals; one at noon, one at three, and one at six. The rest of the time you’re letting your body rest. So, you’re getting the benefits of fasting, of letting your body rest, but at the same time you are still getting nutrients during that time. Now when you’re doing intermittent fasting you want to make sure that you’re getting plenty of healthy protein, fats, fiber and nutrient-dense fruits and vegetables in your diet during that time to make sure you’re getting plenty of nutrients. Intermittent fasting has been shown in some cases, when exercising, for both men and women, to increase human growth hormone by 400%. So, it can also be great for hormones. It’s great because it lets your digestive system rest. In fact, if you struggle with constipation or diarrhea or any sort of bowel issues or leaky gut syndrome, intermittent fasting can definitely be beneficial. Now you don’t want to overdo it. You want to listen to your body, but as I’ve said benefits of fasting can include weight loss, hormone balance, improved digestion, and detoxification. Fasting is created to be done on a periodic basis, not for an entire lifetime. But again, there are major benefits with fasting. If you want to learn more about fasting I encourage you to watch my video below. When you think about changing your eating habits, the first thing that comes in mind is eating the right foods and avoiding the wrong foods. Either it’s eating fewer carbs, less fat, more protein, or eating less in general, and it’s always a focus on what you eat. But what if we’re missing the point? What if it’s less about what you eat, but more so about WHEN you eat? Is it possible to lose weight, burn fat, build muscle, and overall feel healthier by changing not your food decisions, but your timing decisions? Well, one popular food scheduling plan that has sprouted in recent years is “intermittent fasting.for weight loss” The concept of intermittent fasting losing weight is all about adjusting your eating schedule in a way where you basically eat breakfast, lunch, and dinner, all within a window of time. Maybe we can call it linnerfast… or brunchner, or whatever. This window is typically 4-8 hours long. The other 16-20 hours of your day are spent “fasting,” where you’re eating no food at all and the only thing you can consume is water or, in some cases, black coffee. The idea of fasting to lose weight is actually really old. In fact, there’s a good chance that the religion that you might be practicing has some form of fasting period. So why is fasting a good idea? The most important aspect of fasting in a physiological standpoint is that it helps reduce insulin levels in your body. Insulin is the primary hormone responsible for the conversion of your glucose molecules, or sugar, into fat. When you fast, you consume less sugar, and insulin levels drop. But your body wants to maintain a certain level of blood glucose to make sure you have energy readily available in case you need it. And out comes insulin’s mortal enemy “glucagon!” Now glucagon does the exact opposite of insulin where instead of taking glucose and converting it to fat, it takes fat and converts into glucose. At this same moment, your body is also pumping out catabolic hormones such as epinephrine, which further accelerates the breakdown of fat through activation of the enzyme hormone-sensitive lipase. And what’s interesting about epinephrine as well is that it also acts as protection for lean mass. When epinephrine is present, the breakdown of muscle protein is prevented during a fasted state, but only up to about 72 hours. Luckily, intermittent fasting doesn’t last nearly as long. And studies show even more benefits for intermittent fasting. Since fasting involves the reduction of insulin concentration, your body will adapt and become more responsive to insulin, which helps reduce the risk of diabetes. There are even studies that have linked intermittent fasting with reducing chances of breast cancer events by 50%. The basic breakdown is this: Insulin goes down, glucagon goes up, you burn more fat as energy, lean mass is protected by epinephrine, and you’re probably going to feel really hungry. And that’s the main problem, by far, for intermittent fasting. Can you really go 16 hours without eating each day? Some people state it will get better over time. Your body adapts to the increased duration of the fasted state and becomes better at utilizing fat for energy. But no doubt this is not for everyone. If you’re battling constantly with hunger, you might be better off splitting meals throughout the day and eating more satiating foods. And just like any other food plan, you can’t escape calories when it comes to weight change. If you’re trying to lose weight, you are still going to have to drop those calories. A typical fasting schedule looks like this: 10PM, you start your fast and go to bed, wake up at 6AM and have some water or black coffee. At 2pm, you now have fasted for 16 hours and your feeding schedule begins. You’re allowed to eat anytime and anything between the hours of 2PM and 10PM, where the latter is when you go back to sleep. Sounds like something you can do? Why not give it a shot? If you tried intermittent fasting before or are doing it now, let us know about your experience in the comment section below. Losing weight with intermittent fasting is an extremely powerful tool. It’s actually a hack if you want to call it that. 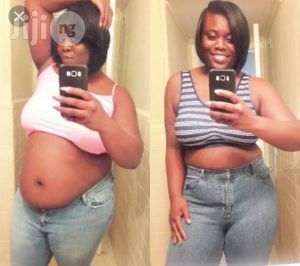 And I’m going to show you three ways you can accelerate your ability to lose weight with intermittent fasting in the rest of this article. I’m going to show you three interesting ways to turn up on the power of intermittent fasting to help you lose weight even faster. Intermittent fasting, or as I like to call it a one-day fast, is extremely beneficial for human health. But one of the biggest thing people seek out intermittent fasting for is for its ability to help them lose weight. And there is a reason for that, right? If you don’t have any food coming in, your body is naturally going break stuff down and use that as a fuel source. Now, we don’t want to do it too long because the breaking down of “that stuff ” could eventually be muscle. But in the short term, in a one-day fast, that doesn’t happen. In fact, if you’ve watched my other videos, you’ll know that intermittent fasting actually increases growth hormone, which helps preserve your muscle. So you’re not going waste away by doing a 16 to 24-hour fast. Okay? No worries there. So, we’re going be tapping into the fat in our bodies because we’re not constantly eating food. Our body is now in burning mode as opposed to storage mode. I’m going walk you through three cool little tricks you can use to accelerate that process. First things first…so in general, I wouldn’t recommend doing a heavy workout on a day of no eating. It just doesn’t make a lot of sense really. If you don’t have fuel coming in, you’re not really recovering with fuel, so you’re going feel pretty crummy. However, in the morning on a fast…so let’s say, you start your fast the night before, which is what I recommend. Let’s say, you start your fast at night, you go to bed at 10:00, wake up in the morning, 8 a.m. You’ve done 12 hours, which means…you’re more than halfway there. So first thing in the morning what I’d recommend for you to do is 5 to 10 minutes of higher intensity exercise. Now, this can take the form of whatever you want. It can be bodyweight training, interval training, skipping rope, or whatever it is that you wanna do. The key is that you want to be huffing and puffing, get a little bit of a sweat on and that’s it. But it’s only for 5 to 10 minutes. Now, here’s the reason why we want to do this. Because when you engage your body at that level, your body starts to secrete norepinephrine and epinephrine, which are two fast-acting hormones which circulate throughout your body and tell your fat cells, your fat stores, to start breaking down fat to be used as energy. Think about your fat stores as bushels of grapes and what epinephrine and norepinephrine will do is they’re going go to those bushels of grapes and they’re going to start plucking away each individual grape to be used for energy. So, the bushel of grapes becomes a bit smaller over time. That’s a pretty good thing because if you can harness that first thing in the morning, now you’re going to go through several more hours throughout the day without any food coming in. And here’s the power of this. Your body at rest is going to use fat as its predominant fuel source. So as I’m standing here talking with you, my body is mostly using fat as a predominant fuel source. The higher I go in intensity in exercise, the more I start to rely on carbohydrates as my main fuel source. So what we’re doing is, we have 5 to 10 minutes of high-intensity exercise, it’s going to tap into those hormones to start breaking down fat. And now, we’re going to be walking, chilling out the rest of the day. And what that allows our bodies to do is have easier access to its preferred fuel source at a resting state. Pretty amazing. I’m telling you, try this out. I’m not saying you must do this every day. One day fast, once a week. Do this in the morning 5 to 10 minutes of high-intensity exercise and then fast for the next 4 to 8 hours, so you reach 16 to 24 hours total fasting time, and you’re going to see what happens to your body. That’s the first way. The second thing we’re going to do is throughout the day is, you want be drinking lots of water. Water is pretty much what you’re going to be having on a one day fast. Or you can have herbal tea as long as there’s no sugar or anything added like that. But here’s what we’re going to add to our water…and that is apple cider vinegar. Apple cider vinegar is another one of those health foods that has probably the biggest bang for its buck. I mean for 20 dollars, you can grab an entire gallon of apple cider vinegar. And this is just insane. That will last you for a month, two months maybe. And the benefits of apple cider vinegar are so numerous, I don’t even have time to talk about them in this article. If you want to learn more about apple cider vinegar click here-health benefits of apple cider vinegar. . But one of the interesting things we know that it does is that it has a lot of beneficial effects on different weight loss parameters. So for instance, it’s going to help maintain and regulate normal blood sugar levels. It’s going to help improve instant sensitivity. It will also help improve digestion and all digestive function in general. It will help to gently cleanse your liver, improve skin function, all sorts of cool things and that’s all going to help. It is just allowing your body to work as it is supposed to. And when your body is working as it’s supposed to, it will enable you to lose weight more easily, right? So that’s the second thing. And the third thing is, essentially, we are just going to fast for 16 to 24 hours. That is all we are going do. So we’re not going to go crazy, for example going seven days of no eating. If I don’t eat for a day, then if I don’t eat for seven days, is it going to be better. Right? No. Less is more when it comes to fasting. More is not better, believe me. When you start going more longer, your body is gonna start to freak out. And you don’t want your body freaking out, okay? So keep it to 16 to 24 hours, get a quick little burst of activity in the morning, and add apple cider vinegar to your water.